In the six centuries before the Norman Conquest, the Anglo-Saxons set their mark on England: the origins of much that is distinctive in modern English culture may be found in the period, most notably the English language itself. This outstanding book is an introduction to Old English language and literature set within the context of Anglo-Saxon history and society -so arranged that the one constantly illuminates the other.Parts I, II, and V aim to provide the reader with an understanding of, and in particular the ability to read, Old English. Drawing on over four decades of teaching experience, the author proceeds in clear, manageable steps. 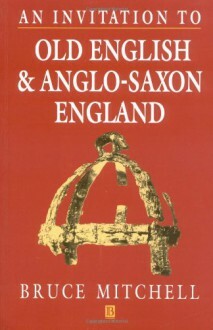 He stresses the 'Englishness' of Old English, guides the reader through possible difficulties, and illustrates each point with examples.Part III presents a wide-ranging account of Anglo-Saxon England. A description of the literature is followed by a brief history of the period, made vivid through a series of extracts from the Anglo-Saxon Chronicle. The author draws on the latest archaeological and historical research to describe arts, crafts, and occupations, from weapons, coins, textiles, and jewellery to ship-building, architecture, and sculpture.In his account of town and country life, of warriors, farmers, and entertainers, Bruce Mitchell shows the impact of Christianity on a heroic society, in which both men and women played important roles. This impact created a tension that is frequently apparent in a representative selection of fifty-one prose and verse texts provided in Part IV. Each of the texts is introduced and placed in context, and footnote annotations explain points of difficulty.The book is illustrated with maps, line drawings, and photographs. It has a guide to further reading and full indexes, and concludes with a glossary tailored to meet the needs of those encountering Old English for the first time. The author's aim is to allow the reader both to understand Anglo-Saxon society and to experience the richness of its literature and culture. He will be found to have succeeded.